Do you ever come up with crazy food combos while marathoning Cagney & Lacey on Hulu? 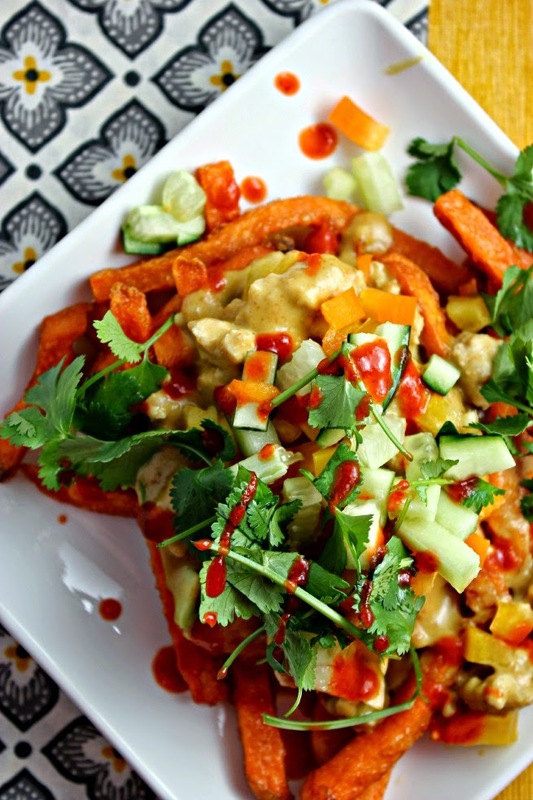 Like... coconut peanut chicken sweet potato fries? GUYSSSSSSSSSSSSSSSSSSSSS! I have been dreaming of this recipe for awhile. I thought maybe, just maybe, I was thinking weird thoughts and that I was setting myself up for failure. 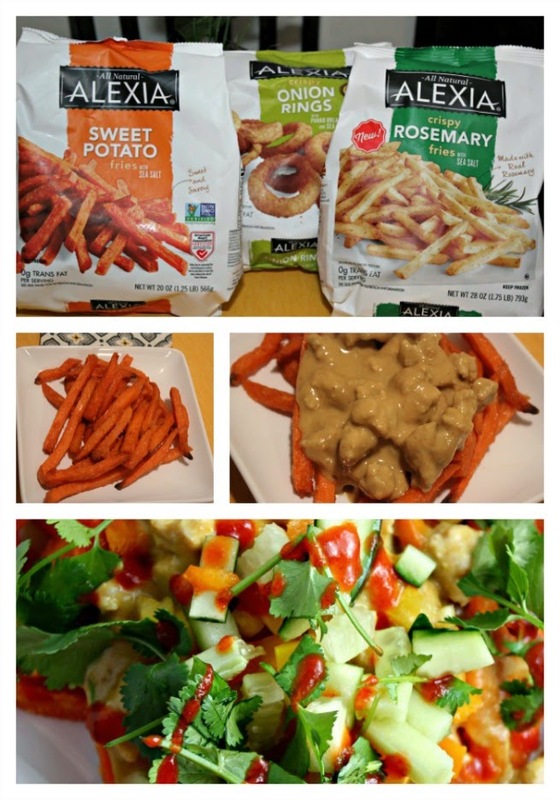 Think about it, sweet potatoes are AWESOME in peanut coconut sauce, so why wouldn't it work with fries? ESPECIALLY when using the bomb.com Alexia fries? 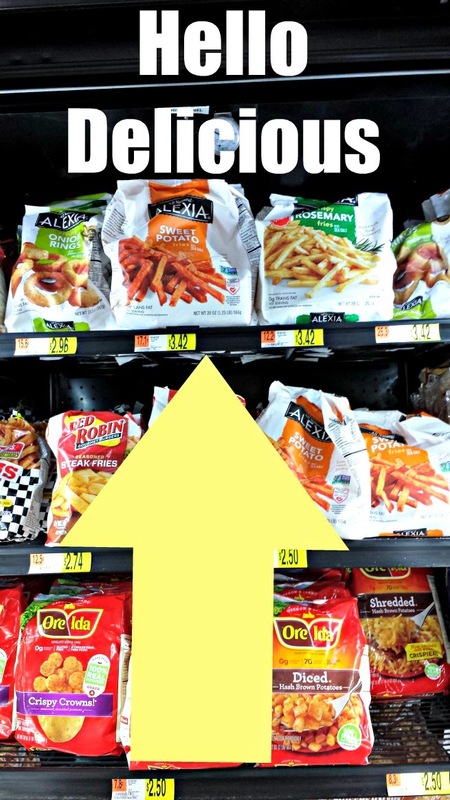 The first time I ever tried sweet potato fries was when my sister bought Alexia's and I was hooked the first time I tried them. I mean... I fell head over heels in love with them and I haven't looked back. My favorite part about them? They are ALL NATURAL! They are always HIGH QUALITY and very, very VERSATILE! I don't think I have ever had one of their fries that was ahhhhmmmmazzing. Amiright? Of course, they are available at Walmart in the freezer section. Back to my wild recipe. It was seriously a winner. A WINNER. I am seriously spinning around other fry ideas thanks to how amazing this came out. I mean... what doesn't taste awesome with fries? 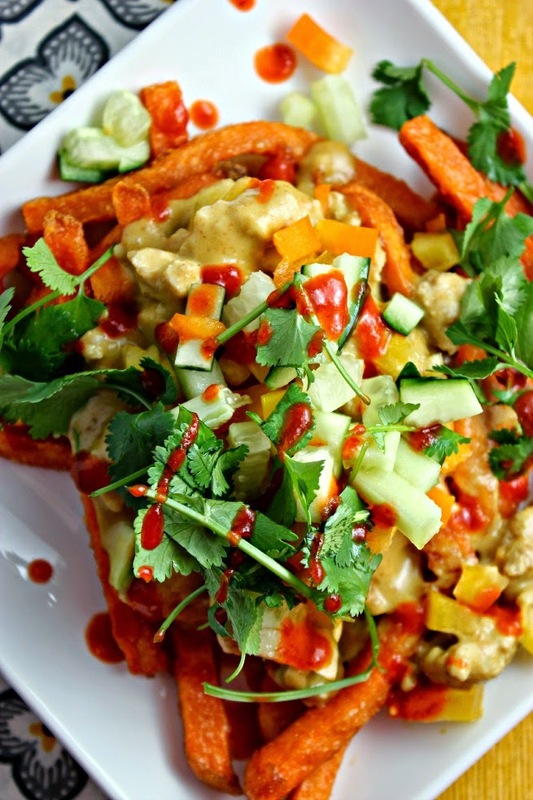 We love coconut peanut chicken around these parts and paired with sweet potato fries, it was the perfect meal AND it was a FUN meal. When I make coconut peanut sauce, I actually like to make it the day before because the flavors really come together but you don't have to. 1. Mix together PB & coconut milk until smooth. 2. Add remaining ingredients and mix until smooth. Any of your favorite veggies- I used diced cucumbers, diced bell peppers, sliced green onions, shredded carrots, and cilantro. 1. 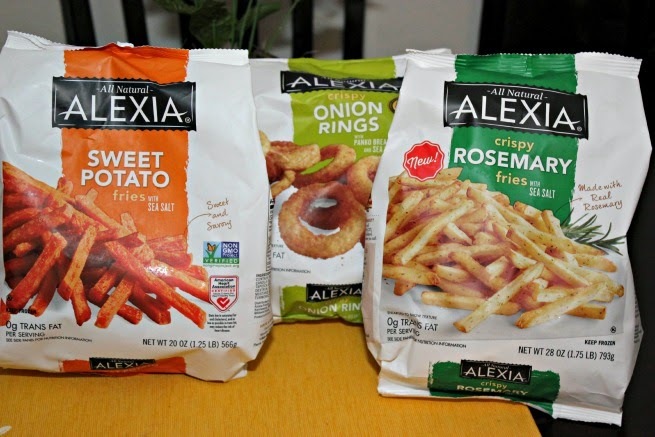 Bake Alexia Sweet Potato fries as per the instructions on the bag. 2. While the fries are baking, cook the ground chicken until done. 3. Add coconut peanut sauce and cook until heated (just bubbling). It should be thick like spaghetti sauce. 4. When fries are ready, put fries on the bottom of your plate. 5. Top with coconut peanut chicken. 6. Top with all your favorite veggies. Bam. Done. Delicious. Full of veggies and protein. Somebody who is a vegetarian can easily make this vegan/vegetarian friendly by omitting the chicken (maybe switch it to tofu or another meat alternative or not, since peanut butter is full of protein) and using vegetable broth in place of chicken broth. I've shared my upscale, spring inspired recipe with you and I'd love to hear about yours! Please share your favorite spring recipe ideas! I can NOT wait to read them! Need inspiration? Be sure to visit Alexia on Facebook and on Pinterest and be prepared to drool.